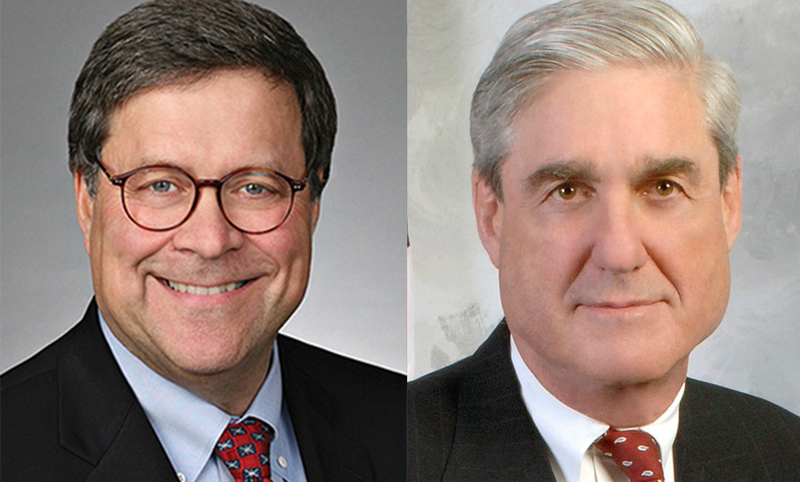 Attorney General William Barr and former special counsel Robert Mueller. Attorney General William Barr plans to release a redacted version of the report by special counsel Robert Mueller by mid-April, “if not sooner,” he told leaders of the House and Senate Judiciary Committees in a letter released on Friday. “As we have discussed,” Barr wrote, “I share your desire to ensure that Congress and the public have the opportunity to read the special counsel’s report. We are preparing the report for release, making the redactions that are required.” Politico, the New York Times, the National Law Journal and the Washington Post have coverage. Barr said the Justice Department is redacting secret grand jury information, material that can compromise sensitive sources and methods, information that could affect ongoing matters, and material that could affect the privacy and reputations of peripheral third parties. Barr also said he wanted to address some media reports that mischaracterized his four-page notice summarizing the report’s principal conclusions. That notice “was not, and did not purport to be, an exhaustive recounting of the special counsel’s investigation or report,” Barr said. The four-page notice had said Mueller did not find any collusion with Russia by Trump or his campaign. The notice also said Mueller did not draw a conclusion as to whether the president’s conduct amounted to obstruction of justice, but he and Deputy Attorney General Rod Rosenstein concluded it did not. Barr said he believes it would be appropriate for him to testify publicly after release of the report. The Democratic chairman of the House Judiciary Committee, Jerrold Nadler of New York, said he stands by his demand to see the report by April 2, according to Politico. He says Democrats would like Barr to ask a judge for permission to release the grand jury information.